What do you do when you are driving in your car and find a deer standing in the roadway before you? Deer cause many car accidents. According to AAA of Michigan, deer were directly or indirectly responsible for approximately 60,000 car accidents last year in Michigan alone. Hundreds of people every year are seriously injured or killed. There are so many deer in Michigan that in some areas, such as the Upper Peninsula, young drivers are taught by Michigan State Police instructors what to do when they too will one day find a deer in the road. The worst thing you can do is swerve your car or slam on your car brakes to avoid a deer. It is far better to kill the deer than it is to seriously kill yourself or an innocent passenger or driver of another vehicle by veering into an oncoming car or truck or slamming your car into a tree. The best thing you can do is to slow down but do not brake sharply. Try to stay in your lane of travel.But what if you don’t have time to safely slow down and avoid hitting the deer? Hit the deer. A typical whitetail deer in Michigan weighs around 200lbs. A typical car weighs over 3,000lbs. In a contest between a car and a deer, the car will win. That is why Michigan State Police advise young drivers to “drive through the deer” and why public safety campaigns coined the phrase “don’t veer for deer.” By swerving to avoid a deer collision with your car, you put yourself and others in far more serious danger than you would by staying in your lane and hitting the deer. “What Every Driver Must Know” is a booklet published by the Michigan Secretary of State and is available at all office locations throughout Michigan. It can also be found online at http://www.michigan.gov/sos/0,1607,7-127-1642-103522–,00.html. Page 108 recommends drivers “try not to swerve if deer is in roadway.” The same advice is posted and available in pamphlets at nearly police department in Michigan, especially outside of the Metro Detroit area. Keep in mind that that many car accidents that involve deer in Michigan are the result of driver error. Most fatal car accidents involve speeding or alcohol, or both. These two factors apply to car accidents involving deer as well. I’ve seen to too many police reports to know that “deer” is the excuse for too many late night car crashes that started at the local tavern and bar. Also, in many cases, a driver can safely slow down and avoid hitting a deer. Often, someone is speeding, over-driving car headlights and then unable to stop within an assured clear distance to avoid the deer. Michigan is a state with an enormous deer population. Deer are not an unexpected occurrence. In many cases, the deer was there to be seen and the driver was speeding or not paying attention. Hitting a deer intentionally with your car is sometimes easier said than done. As a lawyer who helps people injured in serious automobile accidents around Michigan, I always think of one client of mine, still receiving Michigan attendant care benefits from driving into a tree to avoid a deer, years before. He had admitted to me that he had forgotten his father’s advice given to him years before when he swerved to avoid hitting the deer that day. His father had told him that if he were ever driving and found himself unexpectedly confronted with a deer standing before him on the roadway, to remember that “the fender makes it tender.” In Michigan, even when someone causes an accident and is at fault, he or she can still receive Michigan no fault insurance benefits. 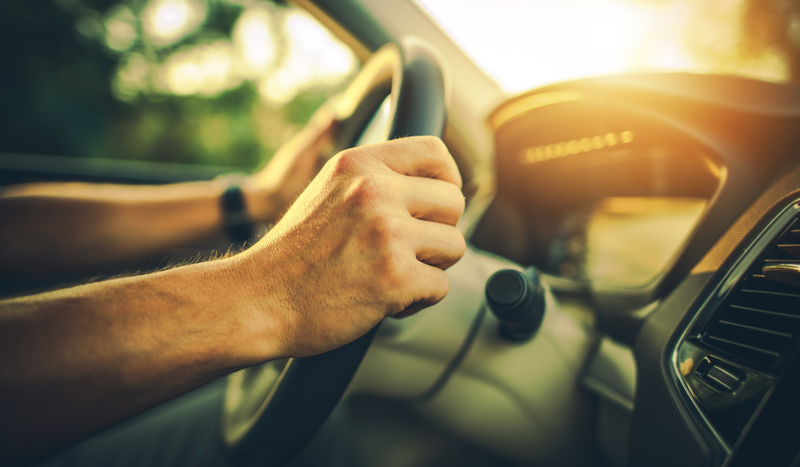 These important benefits include medical bills, attendant care, 3 years of wage loss and replacement services, and mileage reimbursement from the injured person’s own no fault insurance company. If you remember that the overwhelming majority of severe injuries and deaths occur from swerving, losing control, going off the road, hitting on-coming traffic head-on, or driving into fixed objects like trees, and if you remember that it is always going to be better for you to hit the deer, you will come out of this dangerous situation as safely as possible.The safest advice is also the simplest. Don’t veer for deer.